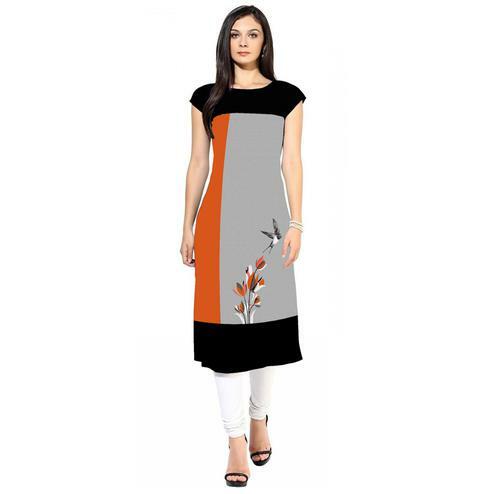 Channel your wardrobe to the latest fashion with this Black casual kurti. 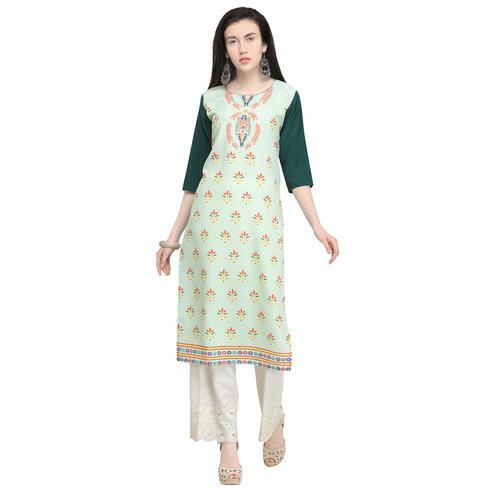 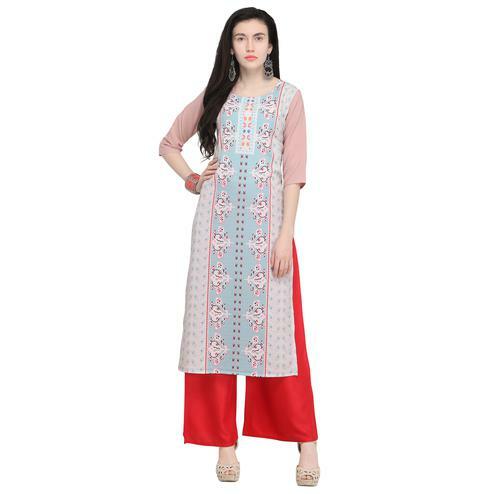 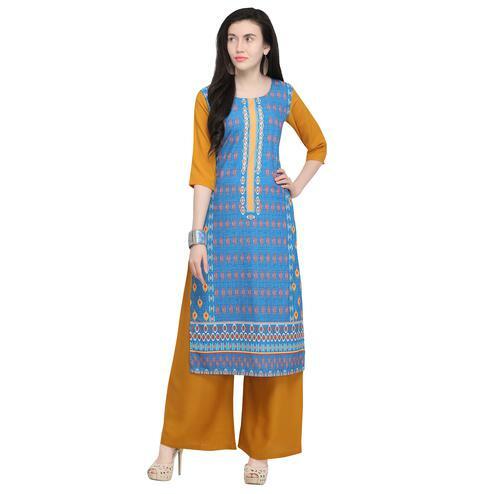 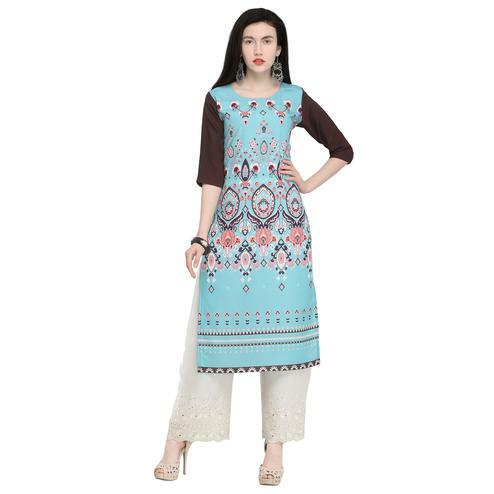 This high collared style neck kurti is made out of rayon and jute fabric and detailed with attractive pattern on yoke over the attire with three quarter sleeves. 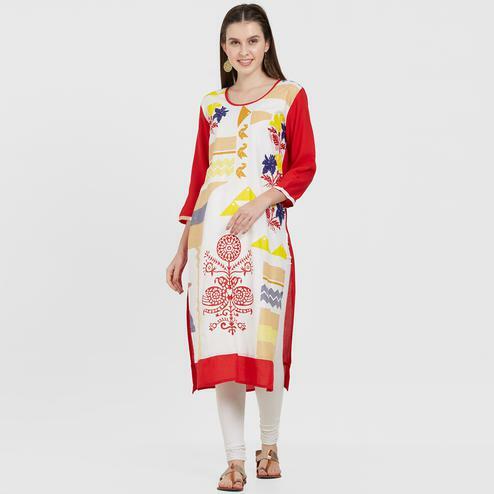 It's a perfect kurti to pick for casual outing and weekend get together. 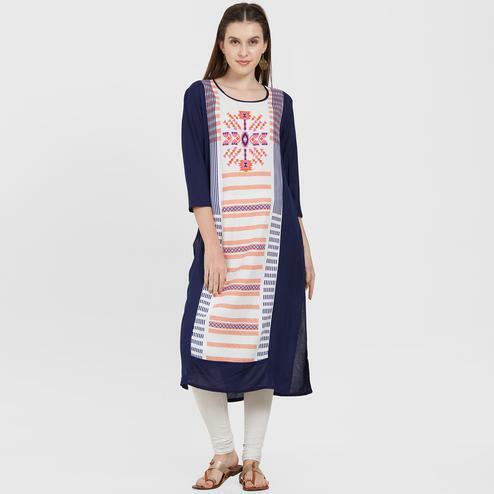 Pair this kurti with matching jeans or leggings for a complete look.